As a partner in Manatt’s financial services transactions practice, Barbara Polsky has extensive experience representing numerous domestic and foreign banks, financial holding companies, savings associations and mortgage and other specialty finance companies in a wide range of corporate, finance and securities transactions, mergers and acquisitions, and regulatory and compliance matters. Barbara regularly represents financial institutions in connection with enforcement actions relating to capital, asset quality, management, compliance and other issues. 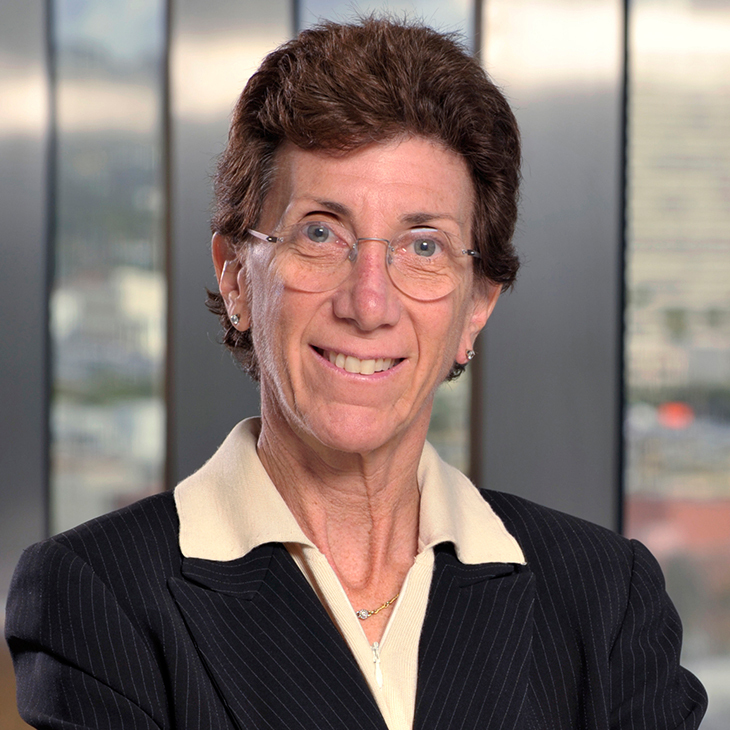 Her practice includes regular interaction with federal and state regulatory agencies, including the SEC, OCC, Federal Reserve, FDIC, and the California Department of Business Oversight. Barbara previously served as Executive Vice President and General Counsel of City National Corporation and City National Bank and Executive Vice President and General Counsel of Aames Financial Corporation. Barbara frequently lectures at investment banking and commercial banking seminars on mergers and acquisitions, bank capital augmentation and compliance matters. Panelist, “From Potential to Performance: FinTech 2.0,” California Bankers Association 2017 Bank Presidents Seminar, January 13, 2017. "Raising Additional Capital,” New York Law Journal, outline presented at the Sixth Annual Conference of Legal Problems of Bank Regulation.